Sadly May has drawn to its close and the best month of the year is over, that bridge between Spring and Summer when the rush of growth reaches its peak. There is no brown to be seen now, as all the plants have filled out, covering the bare soil ... which means less weeding to do ! Very little has 'gone over' yet, meaning that growth is still structured, and hasn't yet hit that leggy, teenage sprawl, which happens later in the season. May is all about the plants . 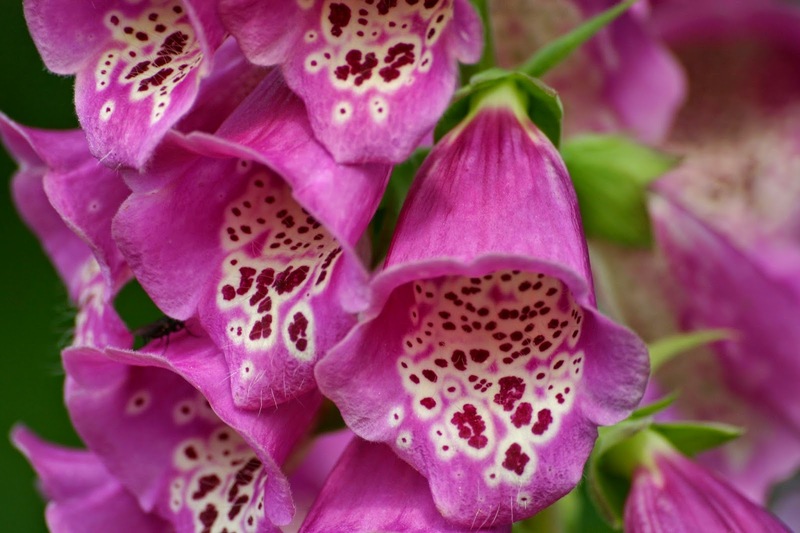 The hard work of seed sowing and tending is done, and all tender plants can be planted out in the garden. And, joy of joys, the greenhouse is eerily empty as stuff gets moved outside. This year, as always, I have grown Dahlia 'Bishop's Children'. What is not to love ? Easy, reliable, interesting ... they tick all the boxes. Dark, fine cut foliage is topped by a range of flowers from dark red through to orange , which keep going right up to the first frosts. The photo above shows the first one to flower from sowings made in March. 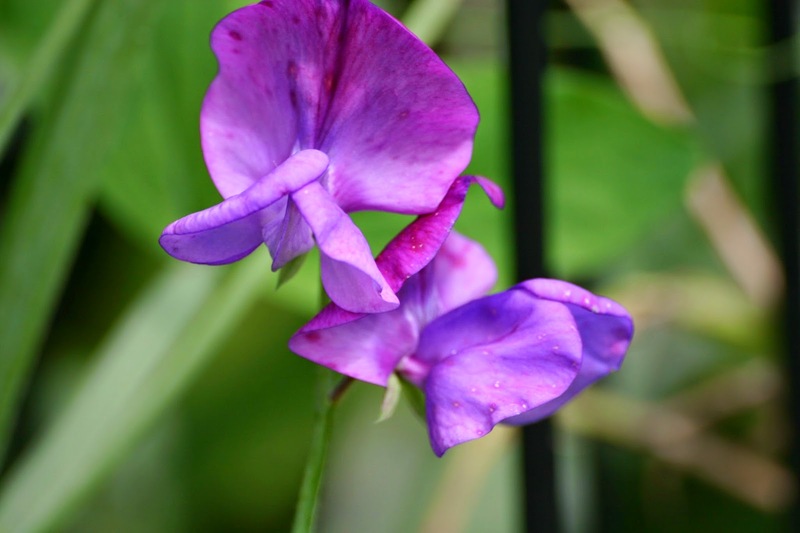 Sweetpeas sown last autumn have now started to flower. Most important of all, the roses have begun to bloom. 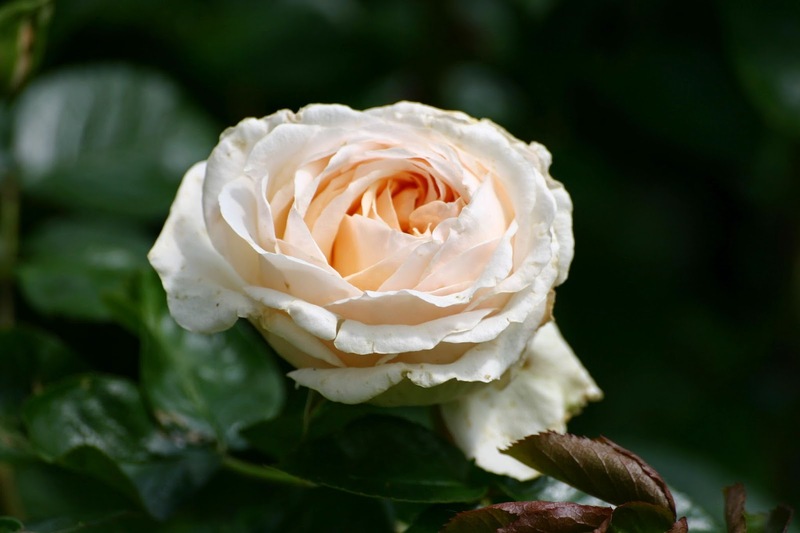 First was climber 'White Cloud', then 'Alissar, Princess of Phoenicia', followed by 'Buff Beauty' and the first of the David Austins, the lovely white 'Winchester Cathedral'. Above is the first of my Gallica 'Charles de Mills' to flower. 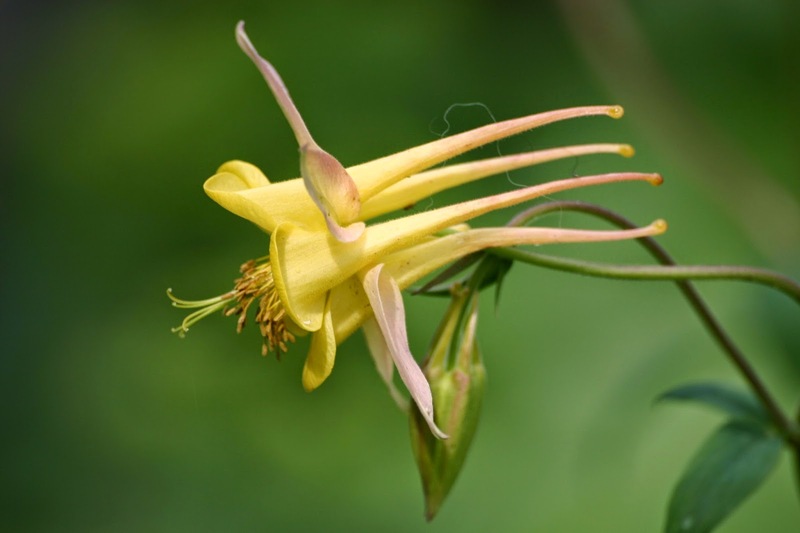 It is planted singly, and beats its siblings by about a week, every year. This hedge of 'Charles de Mills' will be out very soon, and is one of my favourite sights, and scents, of the year. It does not repeat flower, so those fleeting flowers are even more precious. Sadly, I don't know the name of this rose. 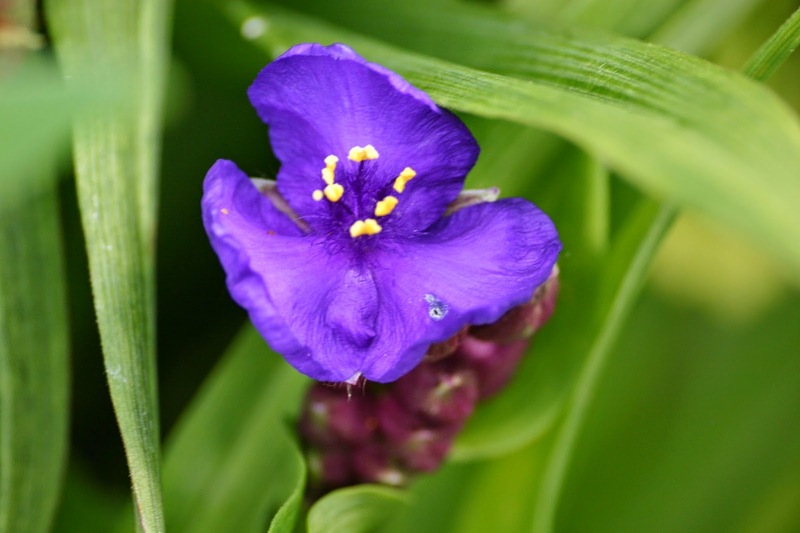 Slow to establish, it is now growing on well, and has small single flowers. Oh dear! This one will have to go! I planted it earlier in the year, as part of a job lot of bargain bare roots . This is Patio rose 'Sweet Dreams', and , while I'm sure there are lots of people who would love it dearly, I really hate orange roses. I shall pot it up and give it away to someone who will appreciate it ! I went out into the garden, armed with the Macro lens, to take photos of all the Aquilegias, thinking that it might make for an interesting, visual blog post, but ... too late ! They are past their best, and this is one of the only flowers still looking its best! The delphiniums are lovely this year, but, Mrs Picky here, isn't happy with the colour and I wish it was more traditional blue and less purple ! All the big tender plants have come outside to enjoy the summer, leaving the conservatory and greenhouses quite empty. The border edging is Alchemilla Mollis, grown from self seedlings I found in the gravel. It looks ok now, but after it flowers it has to be cut right back, and then looks unsightly for some weeks. I am currently contemplating alternatives, so all suggestions welcome ! 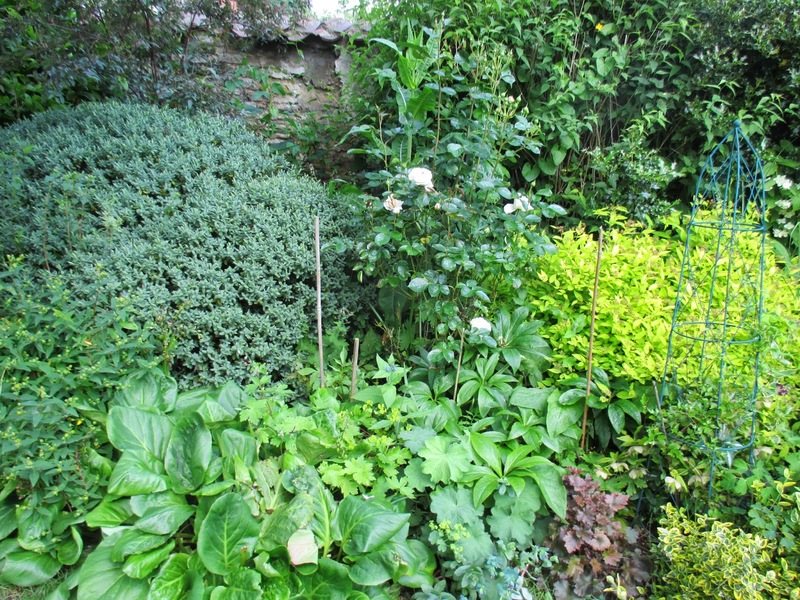 This part of the garden (above) was only created a year ago, so I am happy with the way it has filled out. I am keeping a vigilant watch to ensure that plants don't get too overcrowded now! If I could freeze frame the garden at this point, then I would as it is my most favourite point in the year, as there is still so much promise, and so much yet to come. Thankyou to Helen at 'The Patient Gardener for hosting EOMV yet again. Do pop across to read some fantastic blogs! Your garden is perfect ! I love all your flowers and colors ! Thanks Ela ! You are too kind! Your garden looks stunning. I think you are being amazingly picky - both the orange rose and the purply blue delphinium look great to me. Hi Sarah, hand up, I am remarkably picky about some things - yet fail to notice other things completely ! Like weeds! 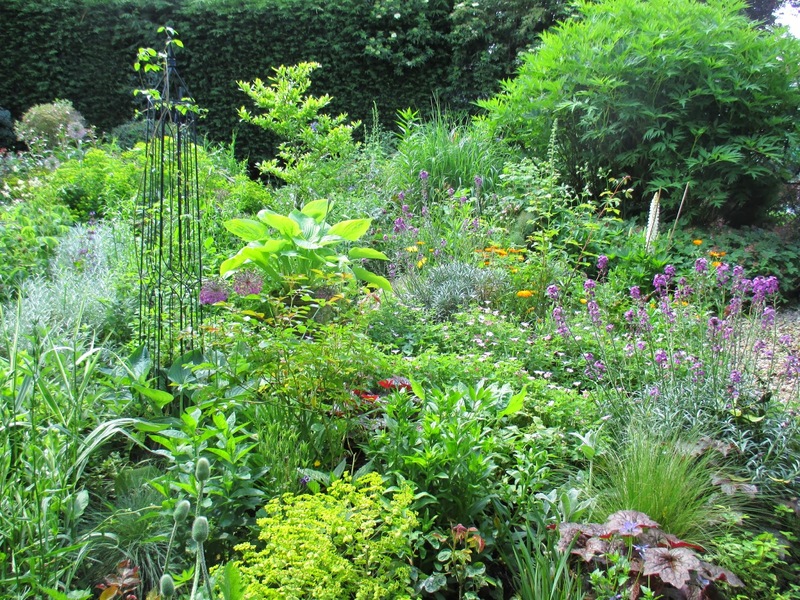 Nice EOMV Jane, your garden looks great! Hi Mark & Gaz, many thanks for your comments. I have pulled out all but one of my A. mollis this year. Other Half hates it and I got fed up with the complaining. It doesn't fit in with his idea of 'neat'. 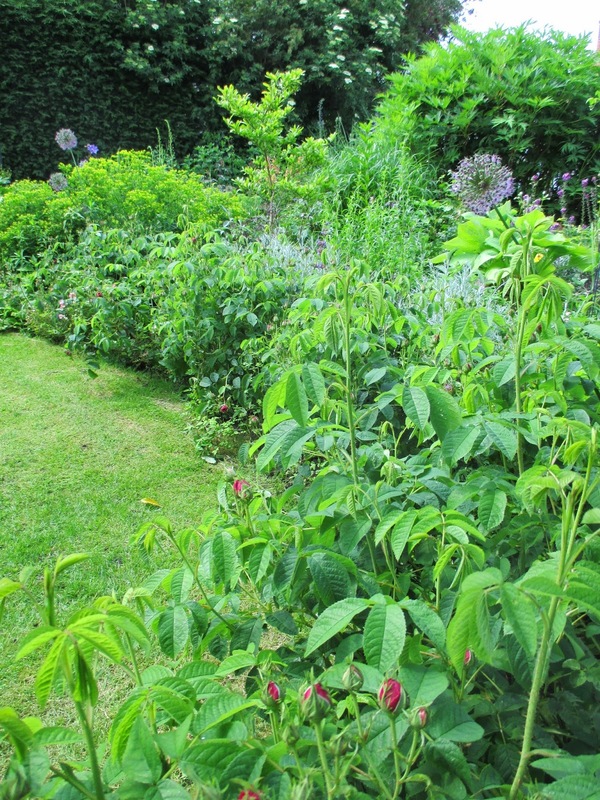 I'll reserve it for the wilder parts of the garden where it can do its own thing without fear of the shears! 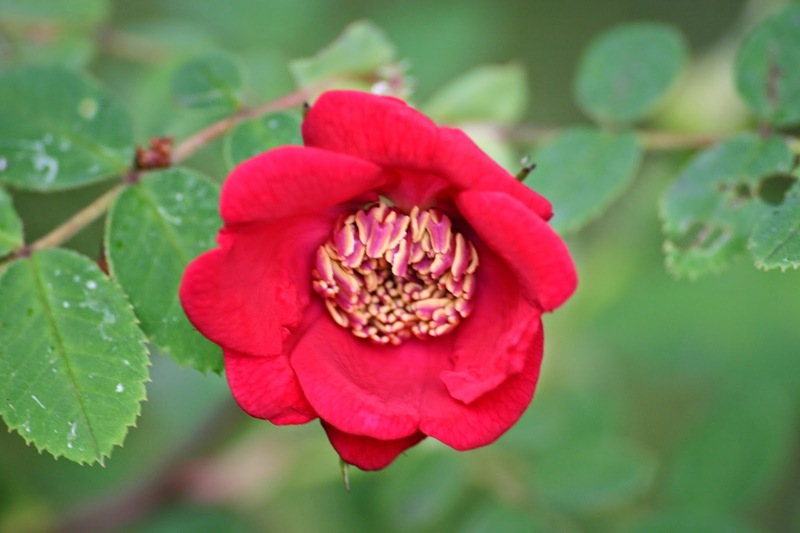 I have tried miniature roses as edging, but am not really convinced yet (bit spindly!!). Guess that leaves geraniums again !! 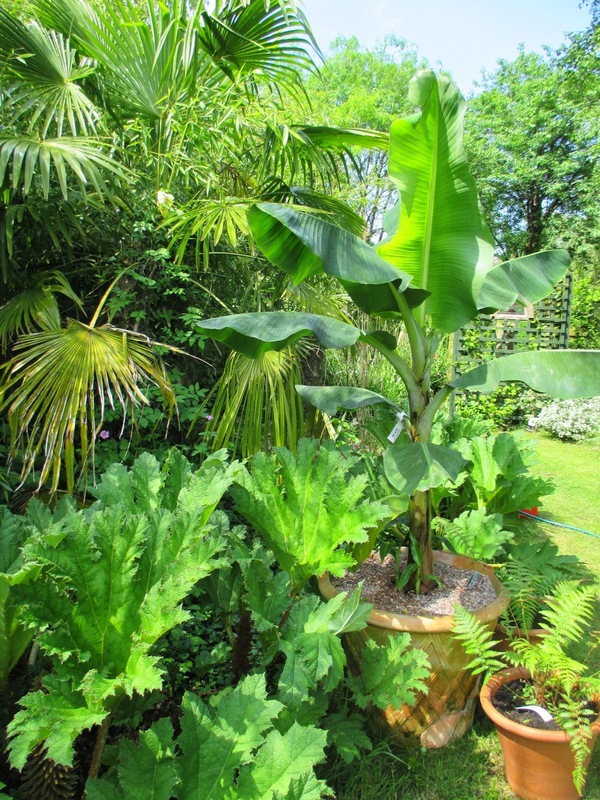 Jane, your garden is spectacular and it's lovely to see all those tender subtropicals sunning themselves outside. 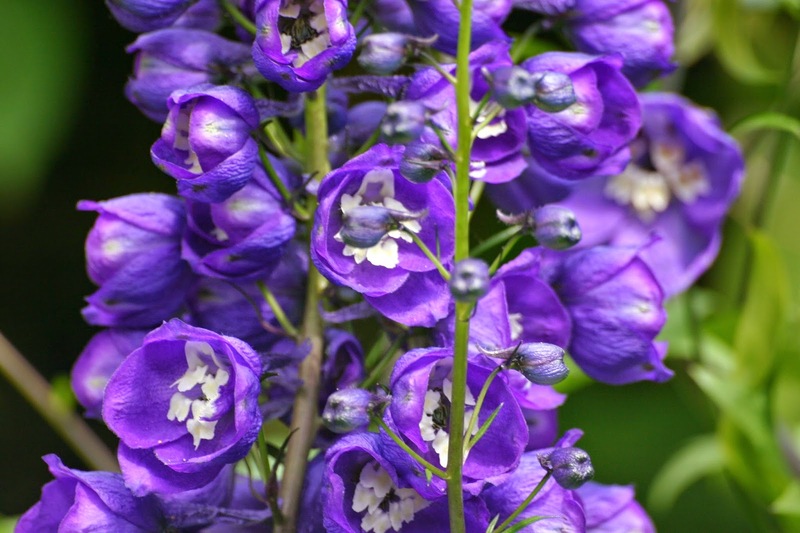 Your opinion of your delphinium raises one of my pet peeves which is growers/nurseries/ calling flowers 'blue' when they are not. 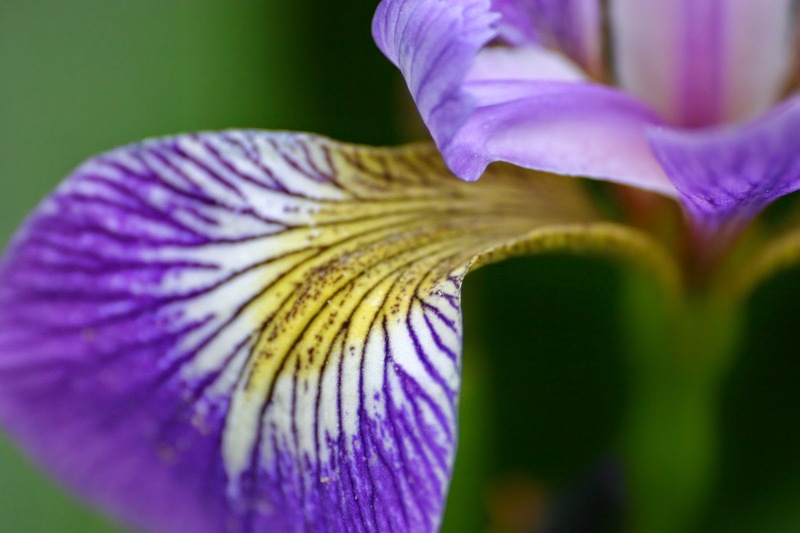 It is clearly purple prose in this case and I'm with you - be resolute! Stephanie, you could have my little orange rose with pleasure , if we lived closer! As it is, it will have to have another new home as it gives me no pleasure at all ! 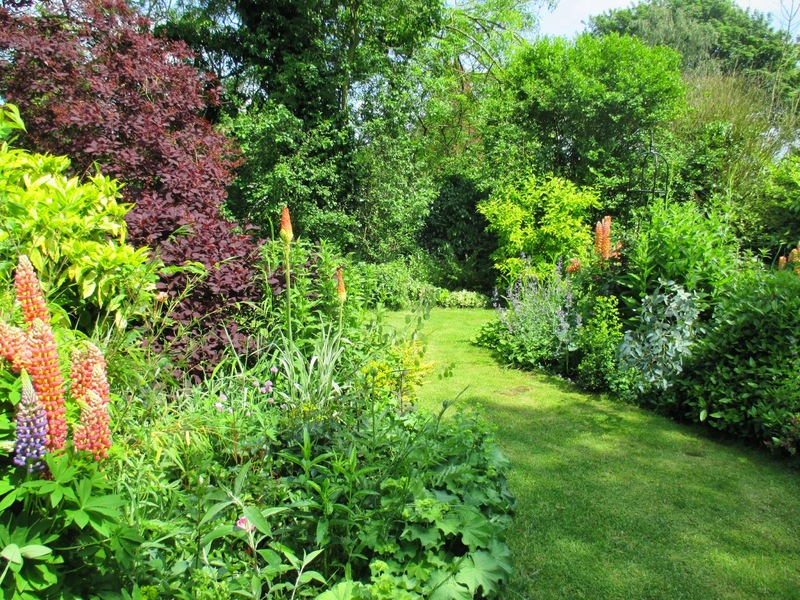 Beautiful borders - I had the same thought about aquilegias and like you was just too late. Hi Sue, there were more seed heads than flowers by the time I got organised and made it outside with the camera ! Good job there are so many other photogenic flowers at this time of year! I can see why you would want to freeze frame the garden at this point. It all looks incredible, lush fresh and so colourful. If you like the colour and effect A. mollis gives, there is a smaller much better behaved version A. erythropoda. I find I only need to snip of the dying blooms. Hi Angie, thanks for that! I didn't know that there was an alternative to A Mollis, I will look out for it . Snipping is infinitely preferable to shearing!! Hi Helen, I have a real love/ hate relationship with Alchemilla Mollis... I love it for the first couple of months in the season, then hate it when it gets all rangy before being cut back. I love the way it looks, its flowers and the way the rain beads on the leaves . How can you hate orange roses? 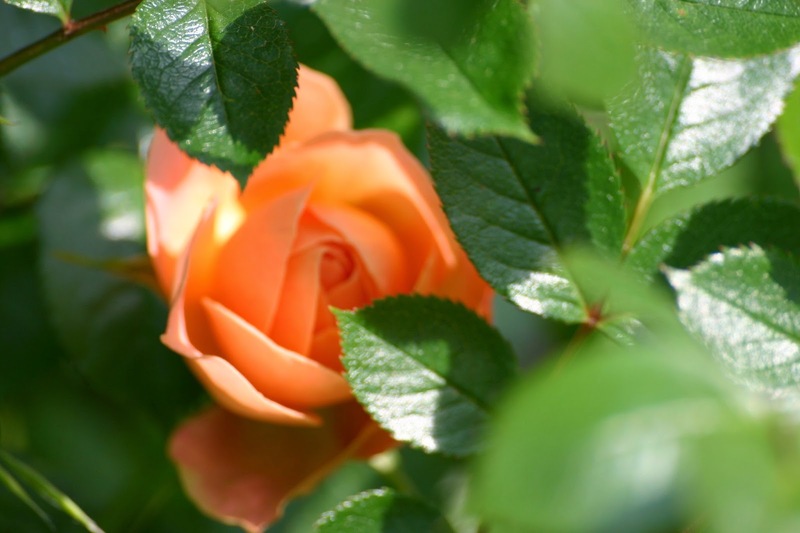 I love orange roses. I hope you can find this rose a good home. Buff Beauty is quite nice. 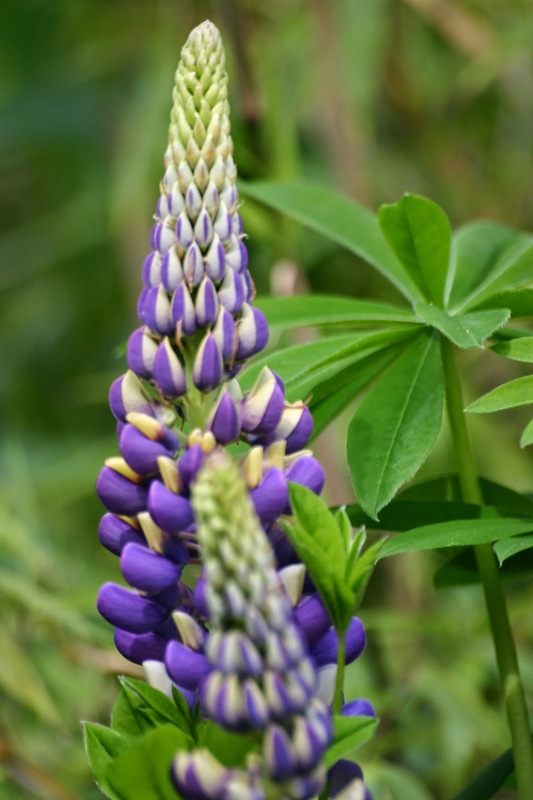 Your delphiniums and lupines are so appealing - I love blue flowers. I know, I know, I am Mrs Picky ! I do feel quite sorry for it, unloved as it is. I have found a friend who loves orange roses, so I will pot it up for her ! LOve your new garden Jane! The plants grow very close but you can see all of them. Also your roses are wonderful especially unnamed, the red one. Hi Nadezda and thanks for your comments. I do grow things very close together, so I constantly have to make sure that they are not encroaching too much on each other. 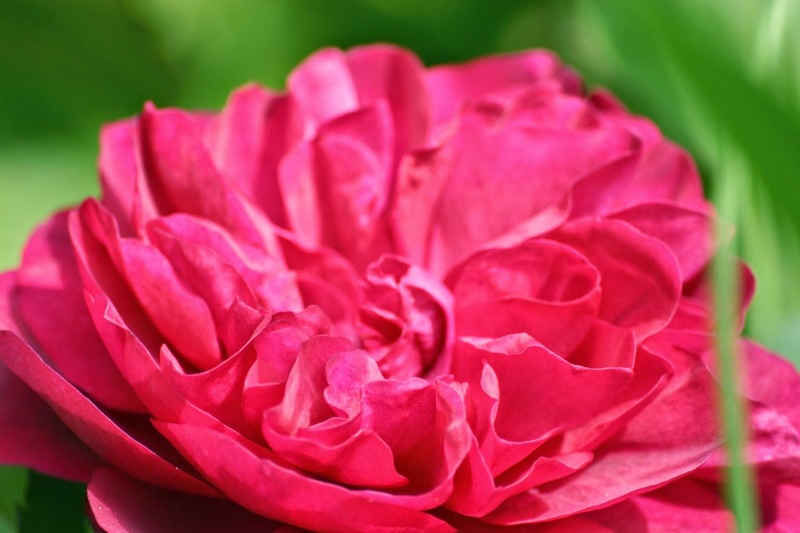 the red rose is 'Charles de Mills' an old Gallica rose. Jane, your garden is absolutely stunning. I enjoyed reading the post. Oh my, your borders are dreamy! What an unusual rose the unidentified one is - I've never seen one like it. I would like to grow more dahlias but just don't have enough sun anymore. Is "Bishop's Children" better than "Bishop of Llandaff"? The latter seems to be very popular here in the U.S.
Hi Phillip. 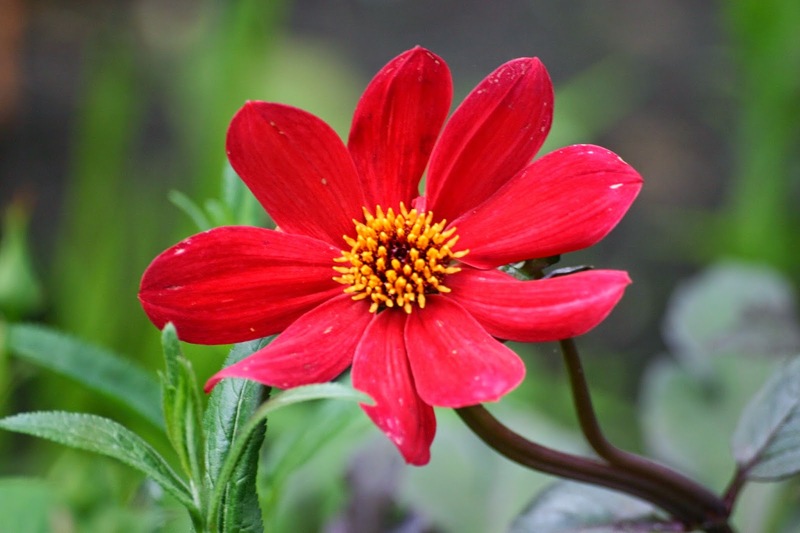 'Bishop of Llandaff' tends to be reliably the same red flowers, whereas 'Bishop's Children' is a variable mix of colours. The foliage is usually dark, as in Llandaff, but the flowers are orange through to dark red, and every shade between. You never know what a packet of seeds will produce . I love that unpredictable aspect, but if you need reliable, then Llandaff is better. 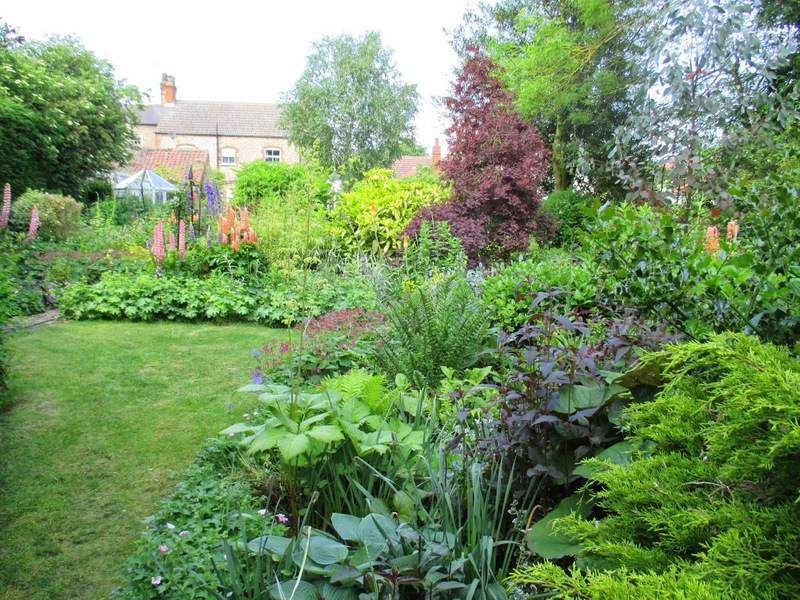 superb cottage garden - looks perfect in May, and I'm sure will still be looking pretty good in June. that Buff beauty is my favourite colour rose. Thanks Sue. 'Buff Beauty'is my fave too, but 'buff' sounds such a dull colour ! They could have named it something more exciting! Well, "Miss Picky", I'll bet you make a lot of new friends giving away your rejects, and your old friends will indeed have 'Sweet Dreams'. 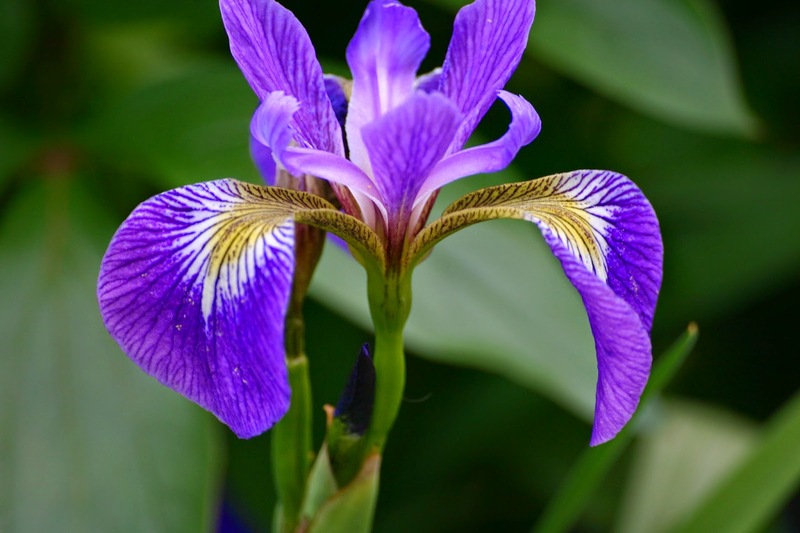 Your discerning eye definitely shows in your fabulous borders. Hi Ricki, I aim to please! Thanks for your comments ! too funny, I saw the picture of the orange rose first and went OH WOW. Then I read your comment. Guess I'm one of those orange kind of folks. Hope it finds a happy home. Your garden looks amazing right now. Our spring has been so cold that we're still in beginning stages of flowers and plants really haven't filled out yet. 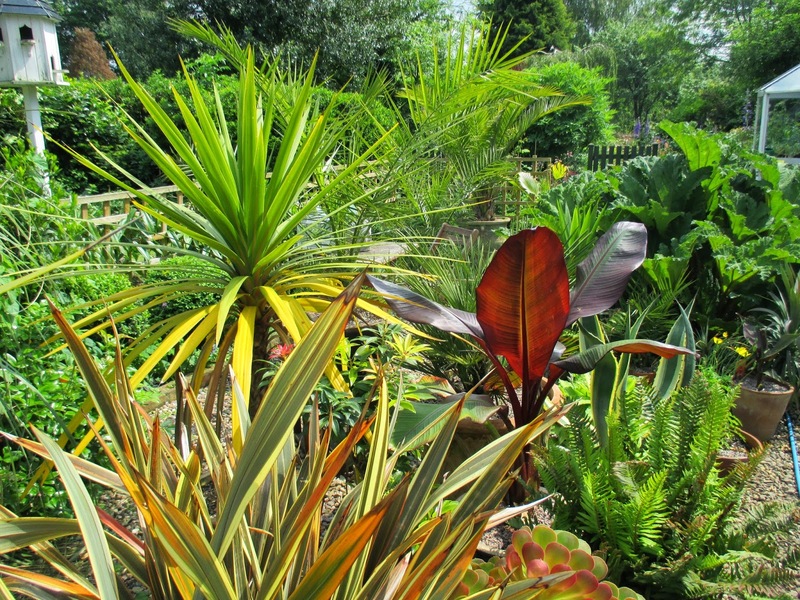 Thanks for taking us with you as you wandered round your beautiful garden, your plants all look so happy! I'm the same as you, digging out half my Alchemilla each year. I used to put it in the compost but no more, they go to the tip with the weeds! 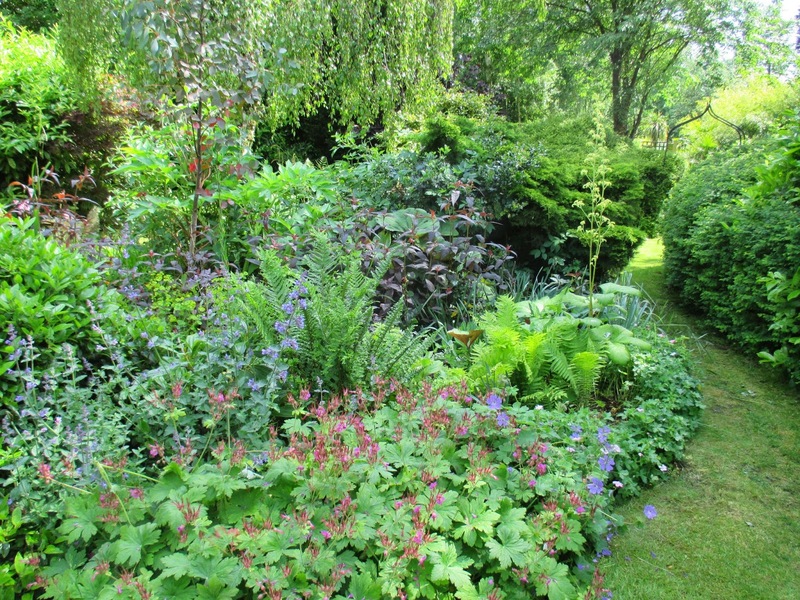 Hi pauline, thanks for your comments.What are you replacing your Alchemilla with ? I am trying to find good alternatives for edging which look good all the time . Bit like looking for the end of the rainbow I think ! !